Once all the turf has been laid the most important thing to do is to set up a sprinkler. 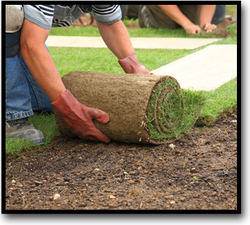 It is essential for a new lawn to develop that it is watered regularly. Try to keep your turf thoroughly watered for the first four weeks to ensure a green strong lawn. Try not to walk on your newly laid turf, for at least 14 days or until it has rooted down into the soil. Walk on boards if necessary. Give the grass frequent trims once it starts growing, using a light mower, such as a hover mower, rather than a heavy model. Keep the blades set high to start with, never cutting too short, and collect all the clippings. You need to take a 2” – 3” cutting below a leaf joint (node) with a very sharp knife to ensure that there are no jagged edges, thus discouraging infection. Make sure that you take the cutting off a stem with no buds. Carefully remove the bottom pair of leaves. The cutting is dipped in rooting powder and put into a pot filled with cutting compost, as much of the cutting as possible should be inserted into the compost and firmed down. Place a name label in the pot as the chances are you will forget what you have planted. Put the pots into a propagator and shade from direct sunlight and place a lid to retain humidity. You can place four cuttings into one pot. When the cuttings look a slightly darker green and take on a ‘perky’ look they are ready to be transplanted into individual pots. Never allow the compost to dry out. During the summer months weeds are at their most active. Try to pull them out before they flower or they will just reseed and multiply. 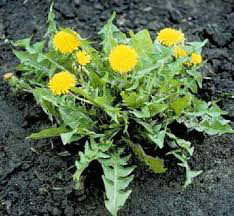 Once you have removed the weeds, hoe weekly and the young weeds will dry out in the sun and die. If you use a weed killer, this is best applied in the evening so as to reduce evaporation and when rain is not expected. Ensure that you spray close to the leaves as this reduces the chance of spraying nearby plants. Alternatively you could lay a weed control fabric and cover it in bark, gravel or stones. 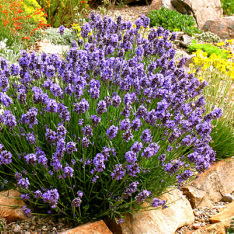 This is how to prevent your lavender becoming woody and unsightly. Remove the flower stalks in late winter. Around February/March time you should hard prune back to a small ball removing about two thirds. Cutting into the bare wood will not do any damage. This way new shoots will appear at the base of the bush, eliminating the woody look. As long as you do this every year your plant will keep compact for many years and avoid it becoming woody.